You may have seen by now that ex-Red Dean Saunders caused a bit of a stir in an interview on talkSPORT by suggesting (though by no means insisting) that no current Manchester United players would get in the Liverpool team. CaughtOffside have since done a United and Liverpool combined XI to see how this checks out, but we think they’re being a tad generous by putting as many as four of that lot in the team alongside seven of our stars. Of course, United cannot be written off, but they’re a far cry from what they used to be and, crucially, the same has to be said of their manager Jose Mourinho. The Portuguese looks to be heading into his traditional third-season meltdown, and as it stands, that affects the quality of the players he has on the pitch. So, while the likes of Paul Pogba and Anthony Martial could significantly improve under someone like Zinedine Zidane, as it stands there’s only one Red Devils player I’d want at Anfield. That man is Alexis Sanchez. Now, of course, he’s also one of the players whose game has taken a real battering under Mourinho, but remember him at his peak for Arsenal and just imagine what Jurgen Klopp could do with that. The Chilean has a somewhat unfair reputation for being stroppy, hogging the ball, not being a team player – I think a lot of that stems from the frustration he faced in an unambitious Arsenal side with mostly far inferior players around him who couldn’t keep up with the fast pace he set. That wouldn’t be a problem with us right now, with our pace of the game ideally suited to his work rate and quick-thinking quality. It might mean tinkering with our formation a bit to fit him in, but given the interest in Nabil Fekir this summer, it seems that might be something Klopp isn’t against trying anyway. If we moved to more of a front four, there’d be no need for Sanchez to threaten the place of any one of Sadio, Bobby or Mo. The details are a moot point anyway – it’s clearly not going to happen, but my point still stands. If we could have him, I’d take him. I can’t honestly say the same about any other United player. De Gea? We’ve just spent big on Alisson who, while untested at this level, is clearly one of the best in the business and has been identified as perfectly suited to our game by Klopp. De Gea is world class, but wouldn’t necessarily fit the bill quite as well. He’s also older and showed at the World Cup that he has mistakes in him, or that his peak years could well be behind him. That might sound ridiculous, but confidence is huge for a goalkeeper and if that World Cup affects him, he could quickly go downhill. CaughtOffside have also gone for Eric Bailly as one of their United players. A decent defender, no doubt, but over-hyped quite substantially just because most of the rest of their options at the back are utter dross and he’s spent a lot of time out injured. At what point has he actually performed as consistently as Dejan Lovren did for most of last season? The big Croatian isn’t the best in the world by any means, but I’d see little reason to swap him. In midfield, Paul Pogba also gets in that combined XI. Whilst clearly a talented player, he’s deeply flawed and just doesn’t seem very Klopp. Contrast his form since he arrived in the Premier League to James Milner’s since joining us on a free. 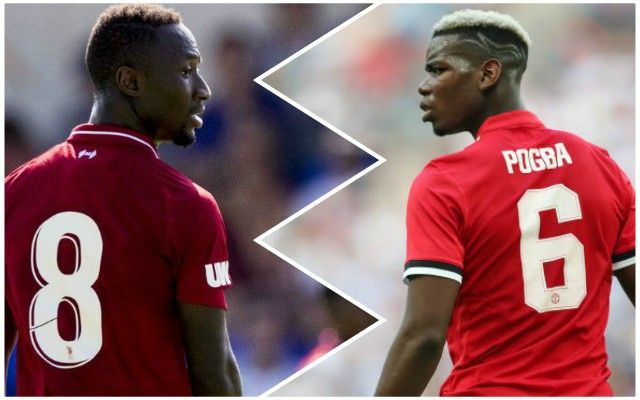 Even without the comparison in price tags, I don’t see why you’d swap Milner for Pogba right now. Their XI has Naby Keita alongside the Frenchman, but I just think Naby is a similar and superior talent, and don’t think both would work that well as a pairing. Keen to hear your thoughts, Reds fans – would Sanchez get in our team? Is there any other United player who’d be worth a shot, or are we just that much better than them right now?